I'm planning on implementing interactive notebooks this year in my high school math classroom. As I've been trying to decide exactly how they should be laid out, I've found myself sketching pages on a piece of notebook paper. This inspired me to create a document that I could print out that would both look pretty and help me organize my pages. One thing you should know about me is I'm a planner. I have an obsession with to do lists. I mean, if one to do list would be sufficient, I will have five to seven. I'm serious. I mean if marking a task of one to do list gives a feeling of satisfaction, imagine the feeling you would get after marking it off five different lists. When I get mine filled out (after I finally find out what math classes I will be teaching! ), I will definitely update this post! 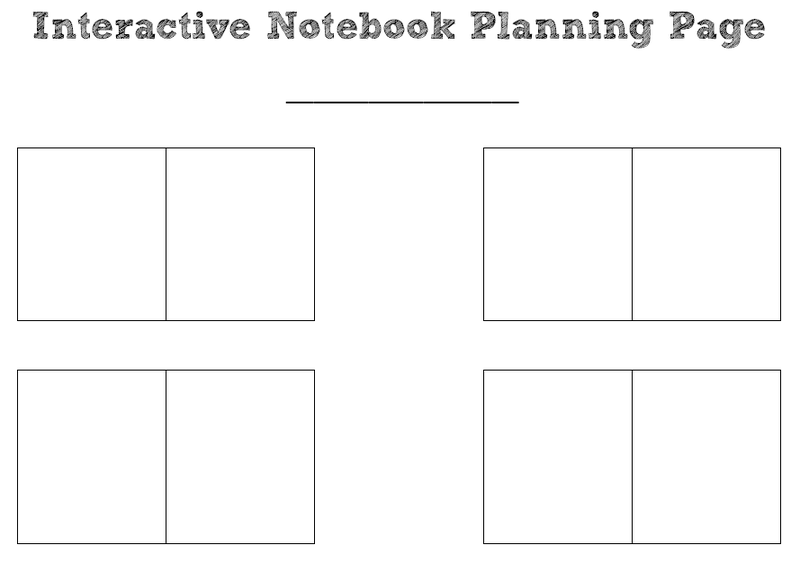 Let me know how you plan your interactive notebooks! Love this planning page. I've been drawing mine out in a notebook this whole time. LOL! Yes! Outstanding idea. My lesson plans always include what IN pages I'll be assigning during class. Don't forget to keep your own IN as an example for every class you teach. Kids who are absent can refer to yours as an example. And now I'm feeling bad because I wasn't doing any planning on my INBs at all. You all have me worried. After reading about INBs over the past few weeks I am totally committed to implementing them this year with my math 9 and 10 classes. They are very similar to "model books" that I used years ago but had moved away from. I love the idea of sketching out a plan and I especially want to plan out what things students will/can do on the left side to show their learning and reflections. Thanks for the idea! How do you guys handle HW with the IN's? Is the expectation that students do HW on the left side of the page. If that's the case won't that be to much crowding? After all is the left side used for practice or student clarifying? I'm planning on not putting hw in the notebook. 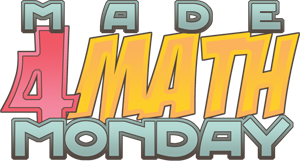 My hope is that students will really try to engage with the material of each lesson and create their own left page. I want to give students a list of ideas for the left page. I read somewhere where students were only allowed to use a certain left page format twice each unit. This encouraged them to interact with the content in different ways. I also read somewhere else about allowing the students to "Pick Four" of their homework problems to write up neatly, with explanations, on the left side. I'm sure my approach to interactive notebooks will evolve as I use them with students for the first time and figure out what works and what doesn't work. ok, so when I first saw this, I totally didn't understand what it was for. After looking at your newer post, I think it's brilliant!! I was also wondering about the homework, but what you are saying about having students writing like 4 problems with explanation makes sense. Can you tell me more about what students are supposed to do with the left hand side? Thank you. I am planning on notebooks right now and so glad I found this. Thank you! 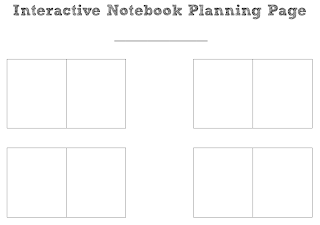 I am beginning my journey with interactive notebooks and this is helpful.